Twenty-five years ago, moviegoers fell in love with Tom Hanks and Meg Ryan as two strangers searching for a soulmate in Sleepless in Seattle. As the romantic-comedy by director Nora Ephron marks its silver anniversary, Fathom Events and Sony Pictures Entertainment are bringing the enchanting film back to cinemas nationwide for two days only. The Fathom Spotlight Series will present the 1993 box-office smash, along with a brand-new introduction by Meg Ryan and producer Gary Foster, in nearly 400 movie theaters nationwide for two days only: Sunday, December 2, at 1:00 p.m. and 4:00 p.m., and Wednesday, December 5, at 4:00 p.m. and 7:00 p.m. (all local times). 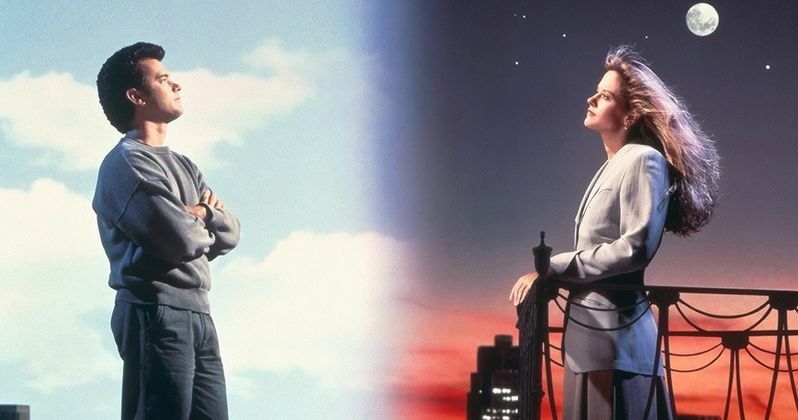 On its release, Roger Ebert praised Sleepless in Seattle as a film "so warm and gentle I smiled the whole way through," and audiences couldn't get enough of the second of four on-screen pairings of Ryan and Hanks. (1990's Joe Versus the Volcano, You've Got Mail in 1998, and Ryan's directorial debut Ithaca in 2015.) Filled with the strains of hopelessly romantic popular hits, Sleepless in Seattle was one of the five top-grossing films of 1993 and has also been named by the American Film Institute as one of the 10 most romantic movies ever made. It's the tale of two romantic souls destined to be together but kept apart by fate. After the death of his wife, Sam Baldwin (Hanks) is trapped in grief, and moves from Chicago to Seattle with his 8-year-old son Jonah (Ross Malinger in a scene-stealing role). Unsure of how to help his father get through the pain, Jonah calls a national radio show to seek the advice of a psychologist, immediately attracting the attention of millions of people, including reporter Annie Reed (Ryan). She can't stop thinking about Sam's predicament, even though she's already engaged to Walter (Bill Pullman). Urged on by her best friend and editor (Rosie O'Donnell), Annie proposes a plan to meet Sam at the top of the Empire State Building on Valentine's Day ... but no one is sure the meeting will happen. Said Tom Lucas, Fathom Events VP of Studio Relations. "We couldn't let 2018 come to an end without honoring one of the truly great romantic comedies as it celebrates its 25th anniversary, and we're doubly excited to have the help of Meg Ryan and Gary Foster, whose talents were so critical to making this film a success." Tristar Pictures presents Sleepless in Seattle with executive producers Lynda Obst and Patrick Crowley. The story is by Jeff Arch with screenplay by Nora Ephron and David S. Ward and Jeff Arch. The film was produced by Gary Foster and directed by Nora Ephron. "Sleepless in Seattle" is available on Blu-rayTM, DVD and Digital. Tickets to "Sleepless in Seattle" are now available at www.FathomEvents.com or at participating theater box offices.